1 // healthy mac & cheese recipe I tried out this week - has hidden veggies within it and tasted great! If you are interested in the recipe, let me know and I'll do a post on it! 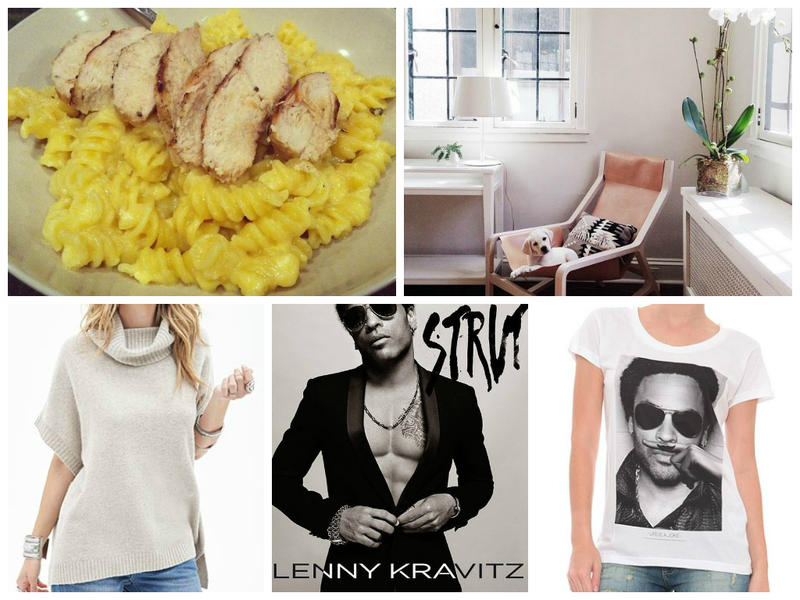 4 // new music dropped from one of my main man-crushes...love me some Lenny. 5 // speaking of...I need this tee. There is such a thing as healthy mac and cheese - I'm all over that one!! Hope you have a great weekend! my husband loves mac and cheese but will never eat it because of how unhealthy it is, so yes please share that recipe!! that forever 21 sweater is super cute! I would love to see the recipe for that one!